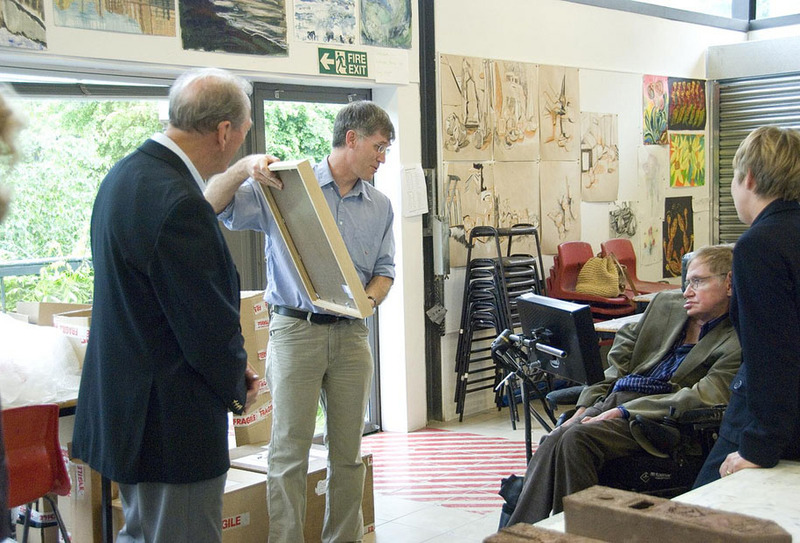 On Wednesday 28th May 2008 DDAS member Graham Ensor was thrilled to be asked to present a piece of his artwork to Professor Stephen Hawking - while the famed scientist was on a visit to the University of Leicester. Graham has recently been able to fuse his talents as an artist with his interest in meteorites by creating a meteorite print. The artwork was produced directly from a large slice of an iron meteorite called Seymchan. 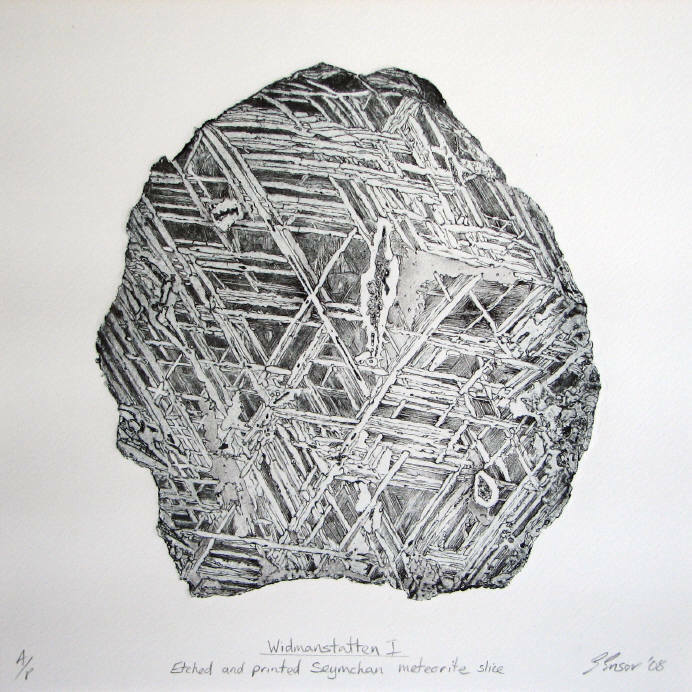 The meteorite, which formed around 4.5 billion years ago was etched to show its intricate crystal structure (known as a Widmanstatten pattern). Graham then used the slice in much the same way as a traditional etching plate - it was inked up and the surface wiped clean to leave ink in the pattern (intaglio printing). It was then put through a press to record the Widmanstatten pattern on to paper. Graham then worked on this to bring out more detail. 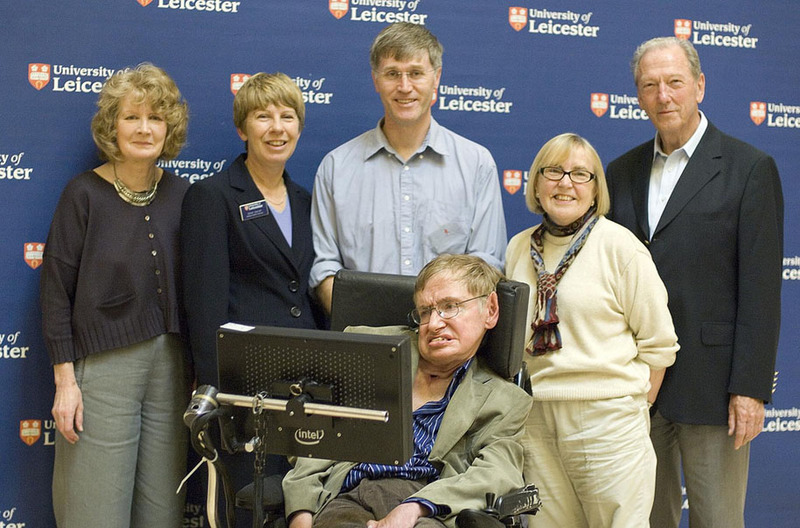 On Wednesday May 28, 2008 Graham was on the welcoming committee when Professor Hawking toured the University of Leicester and was able to say a few words and personally present the work to him at the University's Richard Attenborough Centre. The print and photos of the event appear below. Picture Credits: Top - Graham Ensor. Middle, Bottom - The University of Leicester.